There were many empty seats in the round “presidential table” in Sunday's oath-taking at the Capitol. Only the Governor-elect, his wife, and the Vice Gov.-elect sat up front. Where were their family members? Who else belonged to the VIP table? Their children and siblings kept their distance, choosing to stay at the sides of the hall. It was only when the newly elected officials were called to the stage along with their families for the oath-taking, that the attention of the audience fell on them. “So typical of them,” said a colleague. “They are low key and don't want to be treated like VIPs.” Even the Vice-Governor's brother, who is a cabinet secretary, blended in the background until he, too, was called on stage. The inauguration of Governor-Elect Hilario Perez Davide III was an affair that deserved 21 gun salutes, glittering jewels, and fancy clothes. But there were no 21 gun salutes, no ostentatious jewelry worn, and no over-the-top outfits fit for a coronation. After all, his election into and assumption of the governor's office of the province of Cebu was the first time in almost 2 decades that someone with a different surname with no blood relation to the previous governor got to serve the Cebuanos. True to his promise of true service and honest governance, Davide guaranteed that the event would be every bit dignified but not over the top as the previous administration was wont to do. Truly, being the son of a low-profile but brilliant former Philippine Supreme Court Chief Justice and grandson of a former educator whose life served as a shining example for his family and community, Governor Hilario P. Davide III not only carries the name of two brilliant men but also the amazing reputation of a family that has proven to be an inspiration to many people from Cebu. The Davide family rose from being a poor farming family from one of the mountainous barangays of Argao, Cebu to become one of the most prominent families in the Philippines when one of its members, Hilario G. Davide, Jr., was sworn in as the 14th Chief Justice of the Supreme Court of the Republic of the Philippines in 1998. Hilario G. Davide, Jr. later became the permanent representative of the Philippines to the United Nations. 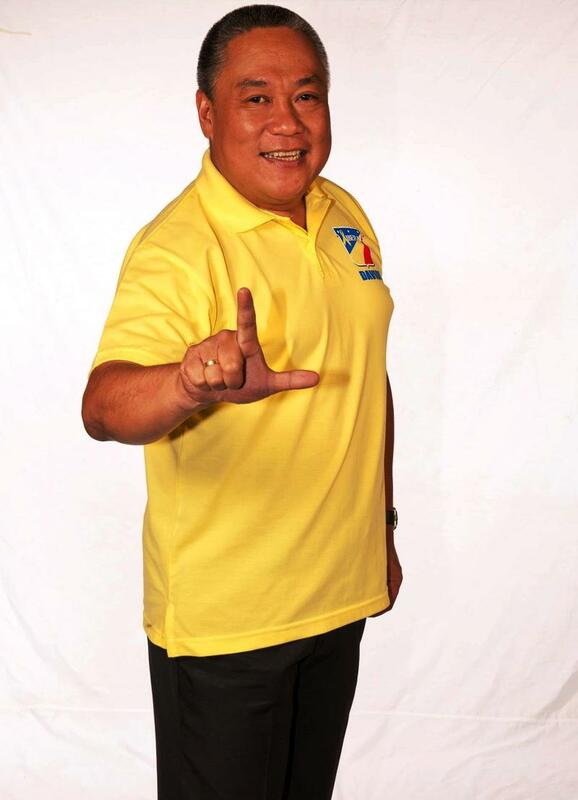 His son, Hilario “Jun-Jun” Perez Davide III, a former first councilor of the City of Cebu, was the Liberal Party’s candidate for governor of the province of Cebu in the 2010 and 2013 elections, winning the seat in 2013 and wrenching the governor's office from the Garcia dynasty after almost 20 years of being in power. Like most Filipino family histories, the scarcity of resources on genealogical interest hinders modern researchers from digging deep into the recesses of time in order to discover a clearer picture of a family’s history. But the family is lucky in terms of safe-keeping their family heritage for two reasons: one, the town from which they hail, Argao, is one of the few towns in the Philippines that has meticulously preserved its church records that go as far as 1842, and two, the patriarch of this particular Davide branch of the family, the late Hilario Panerio Davide, Sr., compiled in the early 80s a family history book of his immediate relatives. His reason for making the “Family Record of Hilario Panerio Davide and Josefa Gelbolingo Davide and their Children” was, in his own words, to memorialize the roots of their family and to have something that the future Davides will cherish for all eternity. The Hilario P. Davide family of Argao traces its roots to Esteban Davide and Nepomucena Ortega, both Argawanon natives who married during the middle of the nineteenth century, in the mountain barangay of Colawin. Esteban, as the records of the elder Davide show, was the son of Miguel Davide and Hilaria Carillo. After going through the various baptismal, marriage, and death records of the town of Argao, we can further reveal that the Davide family could trace their line to as far as the beginning of the 18th century back to the couple Pablo Alverto and Maria Landayanan. Because the eldest grandson of this couple, Agustin Benito Davide, was born in 1777 it can be estimated that Pablo Alverto and his wife were born sometime in the early 1700s. They only had one traceable child, Ignacio Modesto, born sometime in the 1730s or 1740s. He married Norverta Susana and had seven children, all of which grew to adulthood and have left descendants today. The aforementioned eldest of this brood, Agustin Benito, married Maria Norverta sometime in 1800. Their marriage produced 3 children: Leon Benito, Miguel, and Feliz. In 1849/1850 in accordance with the Claveria surname decree Agustin Benito chose the surname Davide from the list of surnames distributed in Argao. True to the present family's fighting spirit and ability to overcome any obstacles in life Agustin Benito must have chosen this surname to remind him and his family that no matter how small one feels he is he can always win the day with determination and hardwork, just as David won over the giant Goliath as told in the bible. Davide is a Hispanization of the same Italian last name, in turn derived from the name David, most possibly derived from Hebrew dod, which means “beloved”, perhaps the word dawid, which means “loved”, or “darling or beloved of God”, in turn derived from Dodavehu. Truly, coincidence or not, there must have been something prophetic with him choosing the surname for his family. Agustin Benito thus became Benito Davide, with his wife's family choosing Cambare as a last name. Norverta Cambare died before Benito, and based on records Benito remarried to Candelaria Neri and they had one child, Donato Davide. Benito himself was blessed with his family's longevity, and he died only in 1864 at the ripe age of 87. Miguel Davide, son of Benito, was born sometime in the 1820s and he married Hilaria Carillo probably in the 1840s. They had seven children and one of these was Esteban Davide, born in the 1850s. He married Nepomucena Ortega and one of their children was Pablo O. Davide, born on June 26, 1875. This man is considered by the family of Jun-Jun Davide as the founder of the present Davide line in Colawin. 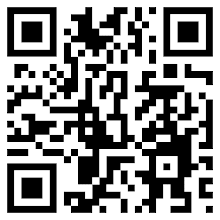 He was said to have been a humble but industrious farmer who was well known in their barrio. His humility and good nature earned him the respect of his neighbors, which ultimately led to his being elected as a cabeza de barangay of Colawin in 1877, a position that is roughly equal to that of barangay captain today. He served in this capacity until 1884. In the same year that Pablo Davide served as cabeza, Julian Lopez, another direct ancestor of Jun-Jun Davide who came from Cebu City but later settled in Argao when he married an Argawanon, was also elected to the same position. Pablo Davide later married another Argwanon by the name of Teodora Panerio. The couple, known as “Tatay Amboy” and “Nanang Doray” by their grandchildren, lived a simple life with strict working codes. Pablo Davide worked on the farm helped by his sons, while his wife and daughters assisted in the preparations for planting and harvesting. Pablo, who many grandchildren remember fondly as being somewhat of a comedian, later on served briefly as municipal councilor of the town of Argao from 1924 to 1928. He died in 1946 in Argao, Cebu. Pablo Davide and his wife had ten children. One of these is Hilario, the father of the former chief justice. It was Hilario’s sacrifice and exemplary life which prodded his children to succeed in their chosen endeavors. Raised also in the mountain barangay of Colawin, Hilario saw the hardship that one goes through when living in an area as far flung as their hometown. He made a resolve to make his children’s lives better, so early on in life he did well in school in order to chart a better future for himself and his future family. It was also while in school where he strengthened his resolve to improve his family’s lot. During a graduation ball, he was repeatedly turned down by girls when he asked them to dance with him. He overheard one lady telling her friend that the only reason why she didn’t agree to dance with him was because Hilario was “taga-bukid” (from the mountains). This haughty attitude by the “taga-lungsod” (city folks) towards Hilario and his barriomates made him even more determined to succeed. After graduating from high school he was assigned as a teacher in another barrio in Argao. It was in the barrio of Talaga where Hilario met his future wife Josefa Gelbolingo, who was also a teacher. Both were ambitious and driven to succeed, and soon, in December of 1925, they decided to tie the knot. Their eldest son, Jose, was born in 1926. When their second child, Jorge, was born in 1928, Hilario decided that his wife better stop from teaching so she could take care of the kids. Pretty soon, five more children followed. The former Chief Justice, the sixth in the family, is the youngest son. 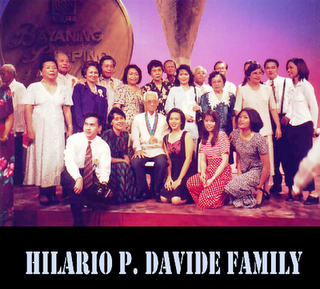 Like his father before him, Hilario Davide raised his family strictly. They had a saying that “each member of the family has a job”. And so, early on, the Davide children helped their parents in tending their farm. The sons helped in weeding the fields, in planting, in rearing the chickens and the other livestock, while the daughters helped in housekeeping chores. The sons also helped in gathering tubo (sugarcane), and Jose Davide, the eldest child, fondly recalls that his younger brother Dodong Jun loved to ride on the sledge with the carabao pulling it whenever they gathered tubo. No one was allowed to play until all schoolwork and housework were completed. If one made a mistake, both Hilario and his wife spanked their kids to discipline them. Hilario Davide was later appointed as District School Supervisor, and one of his first contributions to Colawin was the building of an elementary school in the area. Indeed, before this, his own children had to walk several miles everyday just to get to their school. He never forgot his resolve to improve his children’s future, and so all his kids were able to finish their college education, a very big feat considering that the family was not well off and they came from a very far flung area. Indeed, sending all kids to school is perhaps the greatest legacy that Hilario Davide Sr. has given his family. Hilario Davide, Sr. was also a prominent figure during World War II. He was considered the civilian head of the guerillas in Argao while the Japanese occupied the entire country. It is interesting to point out here that all the Davide children were able to finish school, and become the best in their chosen field. Thus, many of them worked for the government or government institutions, where their skills were honed and their name established. Aside from Hilario Jr., his older brother, Jose, was a councilor of the municipality of Argao while another brother, Dr. Romulo, initiated the Farmer Scientist Training Program, which allows farmers to make use of science and technology to increase their yields. Since the early part of the twentieth century, the Davide family has not only tried to improve their lot, but also the lives of the people of Colawin. Todate, they have been instrumental in many improvements in the area, including the building of a school, the Colawin Basin Health Service Center, irrigation facilities that other barangays, too, have benefited from, the building ofa chapel and a public library. Through the lands that they donated, the money they solicited from patrons, and their continued support and encouragement to the people of Colawin, the once ridiculed people of Colawin, the “taga-bukids”, can now proudly call their barrio as their own. Because of these, the family was awarded the ABS-CBN Bayaning Pamilyang Pilipino of the Year in 1997, in honor of their exemplary lives and dedication to the community. In that same year, they were also honored by the Province of Cebu as one of the awardees for Outstanding Individuals and Institutions. Argao also named them as one of the Outstanding Argawanon Families in 2009. Indeed the Davide family has had a long ride in history. One couldn’t even help but relate the history of the family to the history of their family name. Their namesake, David, came from a poor shepherding family who later on became one of the greatest leaders of the Israelites. The Davides, too, originally from a poor farming family from Colawin, have become one of the prime movers for the advancement and improvement of their town. The family did not just dare to dream; they made sure their dreams came true! And with Junjun Davide's election as governor, the family continues its service to the people of the Philippines. *Another Davide descendant, through the female line, is former Cebu Board Member Wilfredo S. Caminero, who now sits as the 2nd District Congressional Representative. His son, Aladin Caminero, sits as the president of the Sangguniang Kabataan Provincial Federation of Cebu. Originally publised in Cebu Daily News and written by this author. Labels: argawanon genealogy, Cebuano genealogies, Davide family history, Filipino genealogy project, Governor of Cebu, Hilario Davide, Hilario Davide III, Jr.